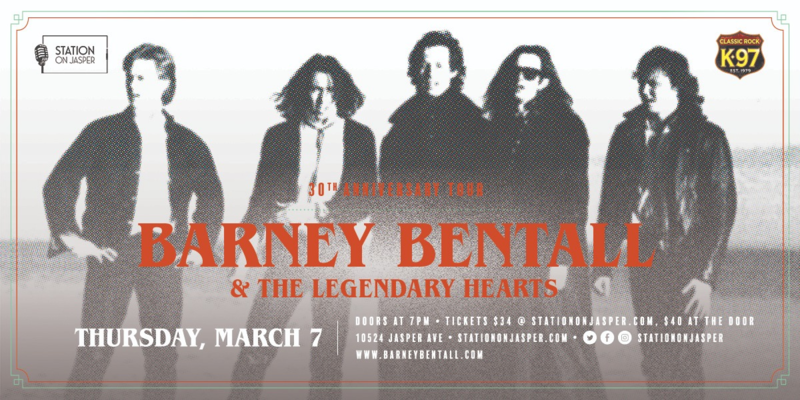 It is a special music event when Barney Bentall reunites with The Legendary Hearts for a night of Canadian Rock. When the whole band gets together, it is not a night to be missed. Their hit playlist and energy never disappoints and have given Canadians something to live for time and again. This show will be a certain sell-out so get your tickets early. For advanced ticket sales, post-show offers and community news!